For about twenty years I misspelled and mispronounced this plant as “chevril.” It just seemed likelier. This is not something I run into very frequently in my shopping and cooking, but chervil was the main seasoning in what may have been the most transcendent salad I ever consumed. The salad was made of baby beets of many colors in a chervil and citrus vinaigrette that I had on my pilgrimage to the Greens Restaurant in San Francisco. Columella nameth it Choerephyllum, and it is thought to be so called, because it delights to grow with many leaves, or rather in that it causeth joy and gladnesse. That is just exactly what it causeth around here. Speaking of Greens, I will be visiting San Francisco, Davis, and Berkeley in May (two conferences: one food, one Yiddish). I would love to hear your suggestions about food-places and Yiddish-places not-to-be-missed, and would love even more to meet some of you in person. I don't think I've ever tasted this, and I've been very curious about it. My garden is barely starting to come out of the dormant stage. I do have a few little sprigs of herbs on some of my perennial plants. I know at least two food bloggers live in Davis. Very fun if you could hook up with them. I live in Davis! When are you coming for a visit? I am traveling that month, but it would be wonderful to meet. Greens restaurant is one of my favorites, by the way. I've done the same thing as you did, Chocolate Lady. It is only now that I realize the error of my ways. 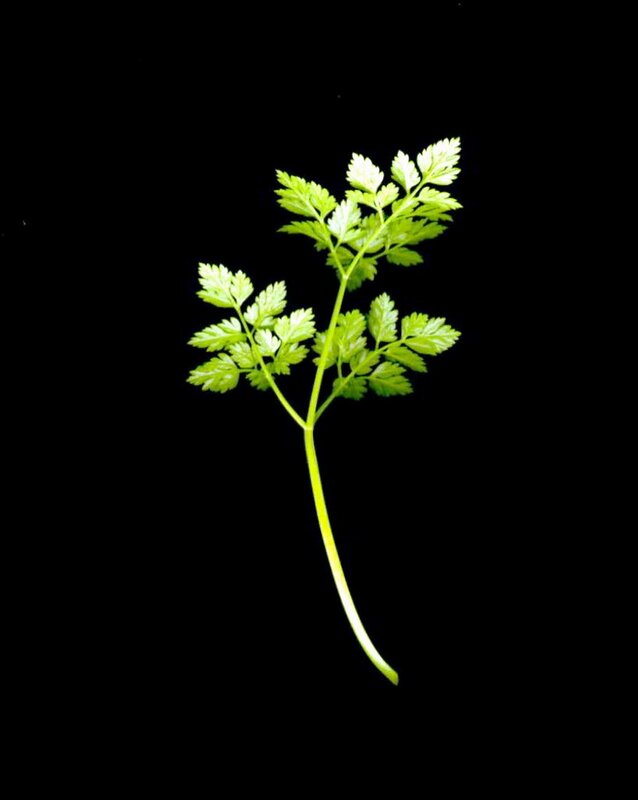 I will try to refer to "chevril" as "chervil" from now on!